Epoch™ has a monochromator-base UV-Vis wavelength selection, offering expanded options for the life science laboratory without using interference filters, building in inherent cost savings. 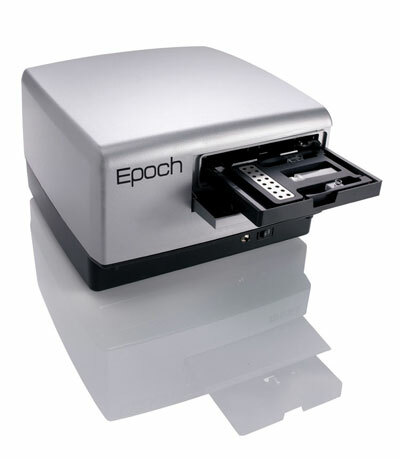 With its 200 nm to 999 nm wavelength range and 6- to 384- microplate reading capability, controlled with the Gen5 Data Analysis software interface, Epoch fills a void in today’s laboratory through smart design and superior features. This robust, low maintenance microplate spectrophotometer ensures even greater value over time. BioStack and 3rd party automation capability is available with the optional Epoch R model.